Since 2011, HumanCare has been helping families choose the right care option for their loved one. We are fully licensed, and our skilled staff is well trained to provide care that is customized to your loved one’s needs. Every member is licensed, insured, and tested for competency. Before being offered a position at HumanCare, candidates go through an extensive and rigorous screening process. 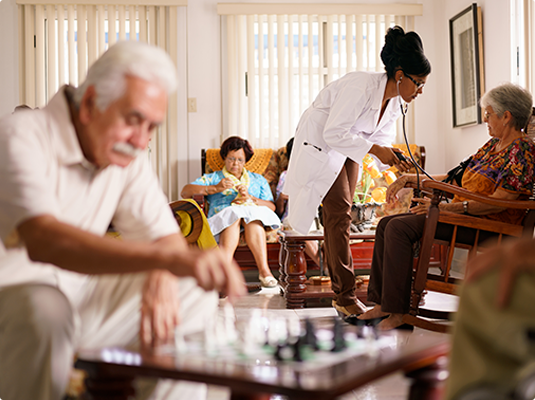 Once hired, they are required to participate in ongoing training specifically designed for home health care issues. We focus on being compassionate, respectful, and providing the highest level of care to your loved one — all with the comforts of home. We understand that it can be a difficult choice choosing any type of long-term care for a loved one. You won’t have to worry when you choose HumanCare. We let our reputation speak for itself. I want to personally thank everyone on the HumanCare team for being there for my mother. Knowing a warm, competent helper was with her during the day and that she was in your capable hands took a huge weight off my shoulders. HumanCare provided an unbelievable high level of care for my mom and dad. The caregivers really showed that they cared about their well-being, and the local office was also amazing, co-ordinating all the helpers, communicating between nurses and family, and taking an active role in ensuring all processes and procedures were appropriate for their care. Jolene has gone above and beyond all expectations caring for my Aunt. My Aunt has become difficult to deal with as her Alzheimer’s get worse, but Jolene’s an absolute angel – she handles her so patiently.